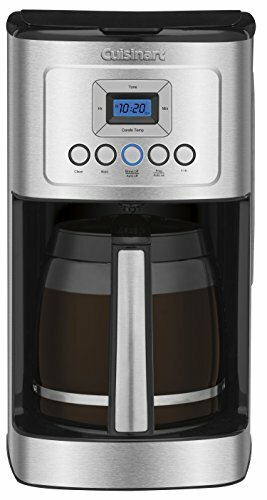 Your coffee vault will protect your precious roast beans or grind, so that they don’t get stale. They’ll also protect beans from CO2 venting too quickly. You need a certain amount of CO2 for your espresso crema, but too much is a problem. 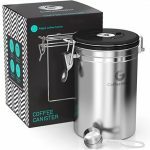 We’ve gathered up what we consider the best coffee vaults for review that will keep your beans or grind fresh. They all have features to contribute to the best cup of coffee you’ve ever had. This coffee storage container doesn’t require hinges to seal against oxygen attacking your beans. It will also allow CO2 to escape in a steady manner. 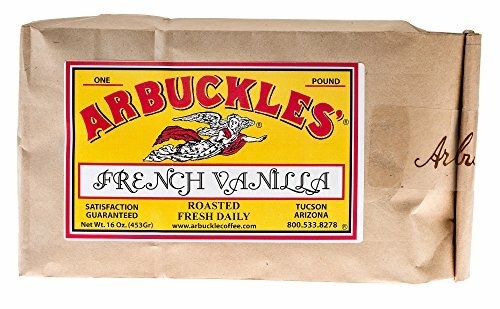 That’s important for your freshly roasted beans. 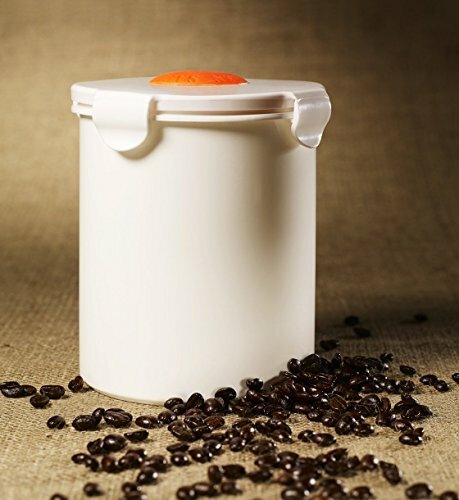 The Tightvac Storage Container can hold up to a pound of coffee beans or grind. It’ll depend on how much you’ve roasted. It will fit into most cabinets if you get the clear version. If you get the dark-colored container, you can leave it on the counter without worrying that light will be a problem for the beans. 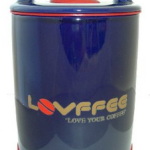 The airtight coffee vault from LOVFFEE has a seal that keeps oxygen from attacking the beans and grind. It’s also meant to repel heat that might try to enter the container. It’ll keep beans cool and dry. The container is ceramic with a glossy finish that will vent carbon dioxide. The vacuum closure performs double duty between venting CO2 and blocking oxygen. The ceramic container keeps light out, and it will look great on the counter. The company thought of everything with its design. There’s even a bit of silicone on the bottom of the container, so it won’t slide. The Friis Coffee Vault is one of the more popular containers for storing your coffee. The reason is because the container is airtight while having other benefits for the home brewer. It’s a beautiful stainless steel container that won’t break very easily. One of the biggest benefits after the seal is the date wheel. You never have to guess at the date when you roasted your beans. You won’t have to wonder if it’s been 13 days into your beans’ life or 17 days. The wheel is easy to use, too. The lid is also free of BPAs that can cause serious health problems. This is a fast-sealing container that will allow the carbon dioxide from your freshly roasted beans to vent evenly. 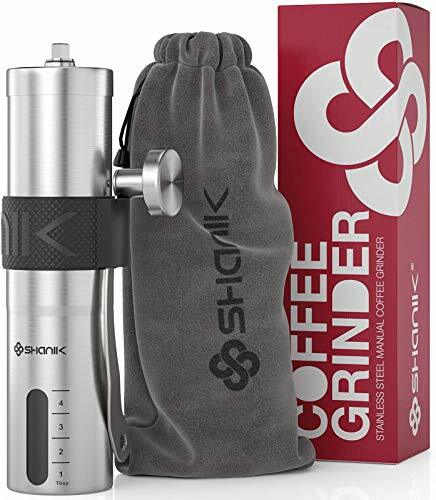 It keeps the beans and grind fresh while you enjoy cup after cup of incredible coffee at home. There’s a stainless steel clasp for quickly sealing the container. The lid’s seal will keep the container free of oxygen. It’s BPA free, too. 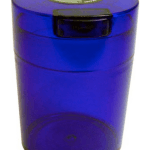 The container, lid mount, bail clasp, and other parts are all stainless steel for incredible durability. 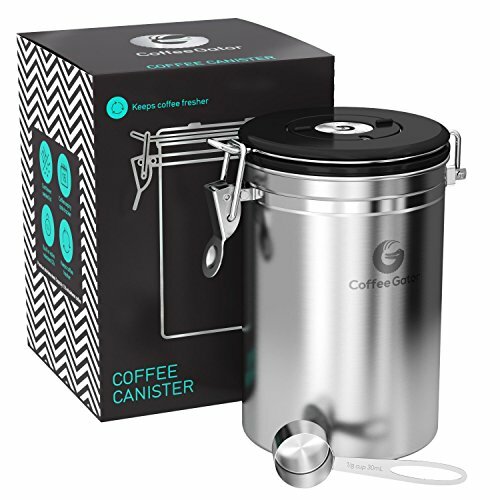 The BeanSafe Container works with roasted beans as well as fresh ground coffee. You’ll be able to keep both safe from oxygen, which can make your coffee stale. There’s no sense in roasting or grinding your own beans if you’re going to store them improperly. The BeanSafe Storage Container is dishwasher safe, so you can keep it clean between uses. It also comes with a stylish scoop and beautiful colors. The parts of this coffee vault are designed to be lovely and stylish while also being sturdy and durable. The coffee vaults on this list all have the ability to keep air, heat, moisture, and light out of the container. Even the clear one can keep beans safe as long as it isn’t placed in direct sunlight. The other features will protect it. 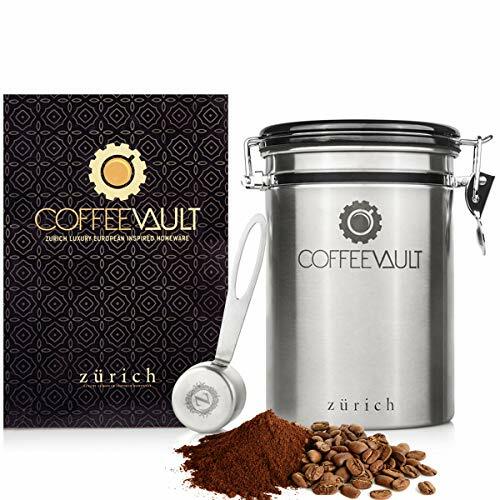 Coffee vaults are meant to protect your beans as well as your freshly ground coffee. We would recommend all of these depending on your needs. Pick the one you love based on colors or features. You won’t go wrong.